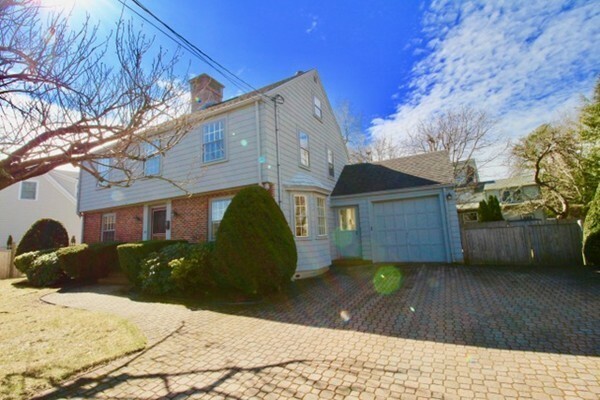 Live the ultimate Marblehead life! Take a short stroll to the right and bask at Devereaux Beach, a short stroll to the left to explore all the shops and restaurants along Atlantic Ave and a little beyond to the charm of Old Town! This stately colonial has a wonderful front to back sun drenched living room with fireplace and French door entrance to a family/sun room. Enjoy the warmth and watch over all the activities in the nice flat, fenced in back yard. Use your imagination to redesign the bay windowed dining room and kitchen with direct access to the breezeway and garage. Lots of space for everyone in the roomy four bedrooms on the second floor with two more for growth on the third! This family friendly home has been lovingly cared for by the same family for over four decades. Solid and true, it is just waiting for you!